This article is about Machine Frame (Basic) from Thermal Expansion . 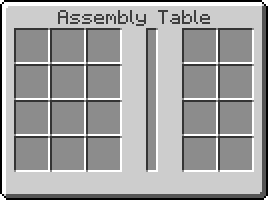 You may be looking for Machine Frame (RFTools) or Machine Frame (Thermal Expansion). The Machine Frame (Basic) is a block added by the Thermal Expansion mod. The lowest tier component used to craft processing machines. It can be upgraded to 3 tiers: Hardened, Reinforced and Resonant, each adding features and functionality to the machine crafted using it. This page was last modified on 7 April 2019, at 03:48.